Completed in 1920 at Kawasaki's Kobe shipyard as a SHIRETOKU-class fleet oiler. 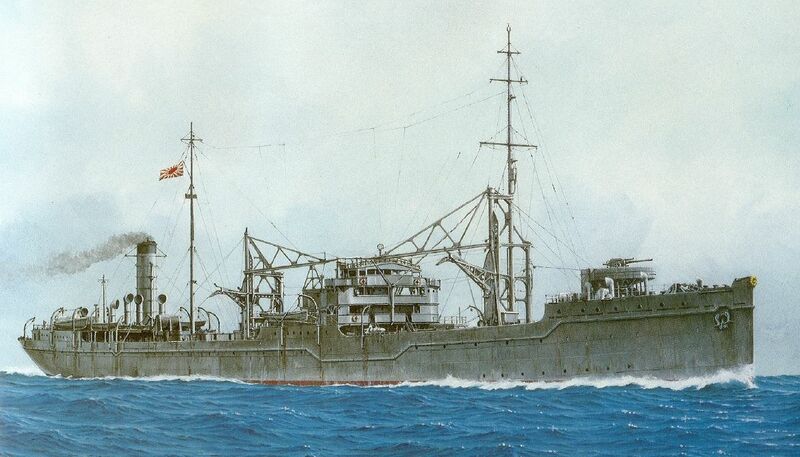 The NOTORO was converted to a seaplane carrier in 1924 until she was reconverted to a fleet tanker in 1942. The NOTORO was the only seaplane carrier of her class. Dimensions Length 456', beam 58', draft 26'. Propulsion: 2 VTE engines, 4 Miyabara bolers. 2 shafts, 5, 850 shp; 12 knots. Conversion: The space between her well decks is fitted with a platform supported by stanchions level with the bridge. The platform provided space and cover for her eight floatplanes; cargo booms are fitted to lower and recover floatplanes. No catapult.